Hello all! I just realized that I have a bunch of Holiday Cards made for Spellbinders that I never shared here, better start posting them before the Holidays. 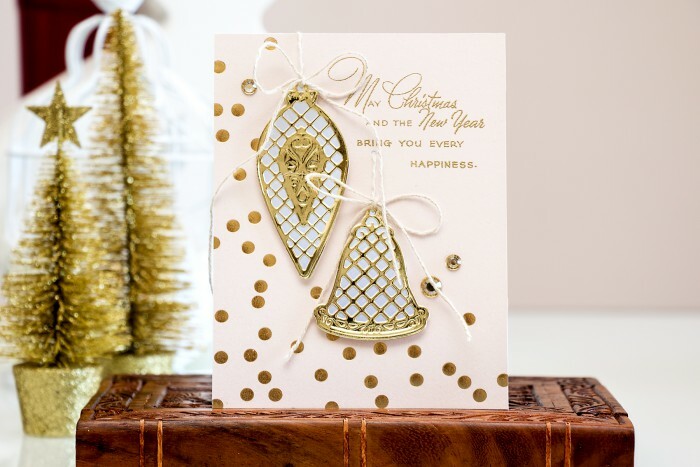 First up is a Modern Holiday Card – May Christmas and the New Year Bring You Every Happiness card using gorgeous Lattice Ornaments dies from Spellbinders. This might seem like a simple project, but in fact its an almost one layer window card with the ornaments being cut all the way through the front of the card base. 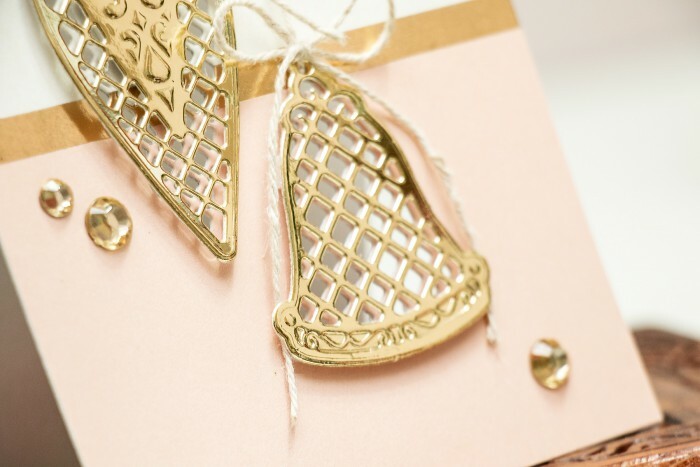 I used stunning Fancy That patterned papers from My Minds Eye (unfortunately, already discontinued) for this project along with my all time favorite Gold Mirror Cardstock (it just makes everything better!). This project is rather easy to make, you just need to remember to cut the windows in your card base at the right moment. 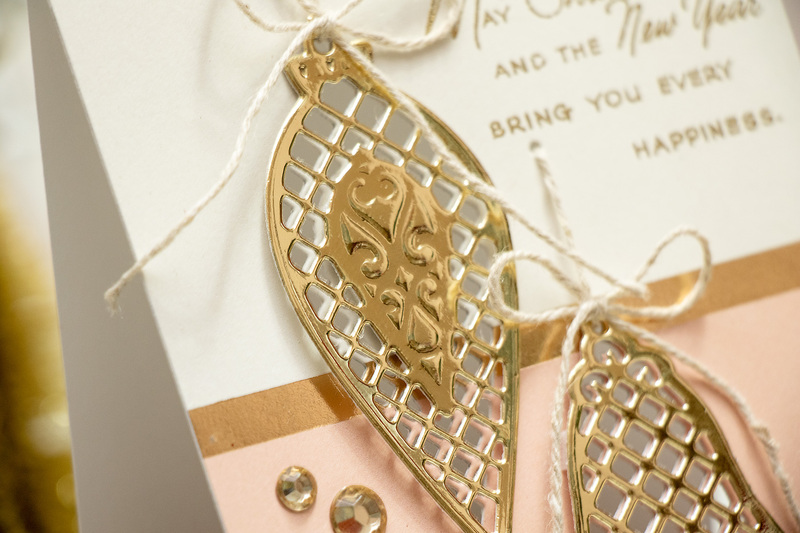 I did use a few foam adhesive squares to pop the gold die cut ornaments up and have a bit of dimension on this project, other than this its truly a one layer piece. I added some twine to the top of the ornaments and made it look like they are suspended from the top. 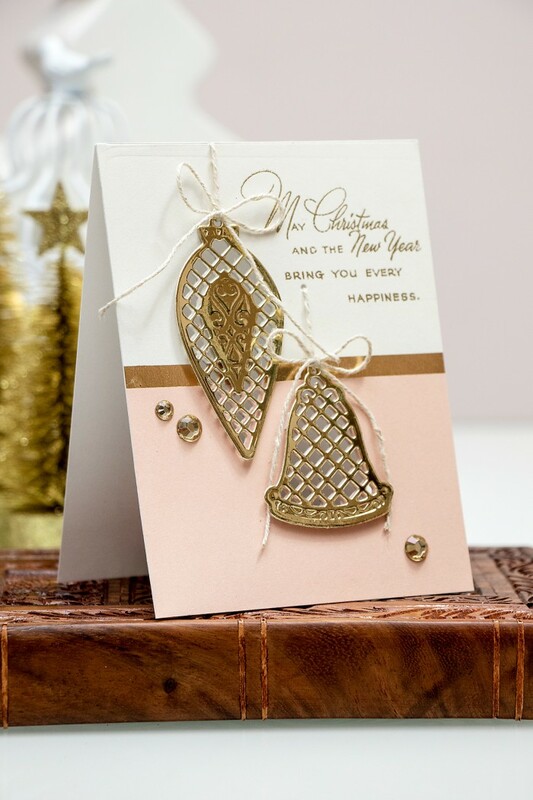 Stunning sentiment from Stampendous fit this project perfectly and added to the overall elegant look and feel. 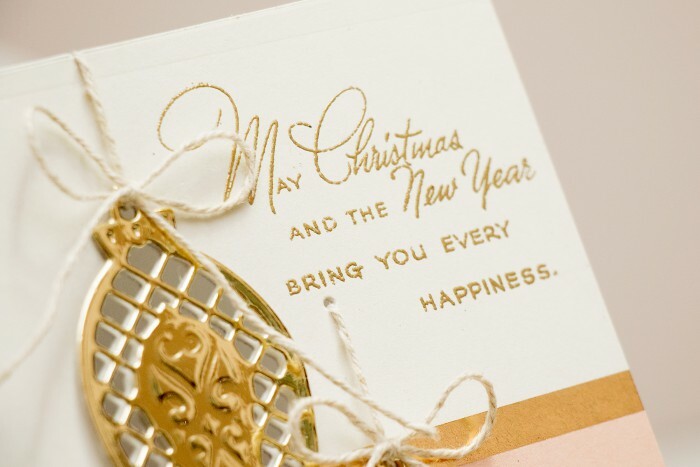 I stamped it in VersaMark ink and heat embossed in Gold embossing powder from Hero Arts. I love everything-especially the music notes! Your cards are beautiful !!! My fae is the snowflake jingle !!!! !